can i add a function of uploading multiple images (40 images) into my form? Yes its possible. You can use a standard file upload field. Drag it onto your form and click on its properties ( gear icon ). 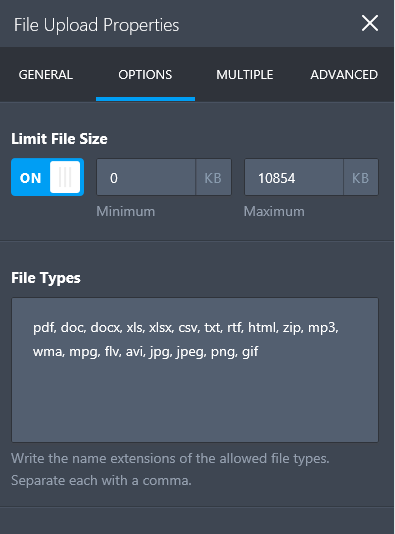 On the options tab you can limit the file size and file types allowed. On the multiple tab make sure multiple uploads is enabled. 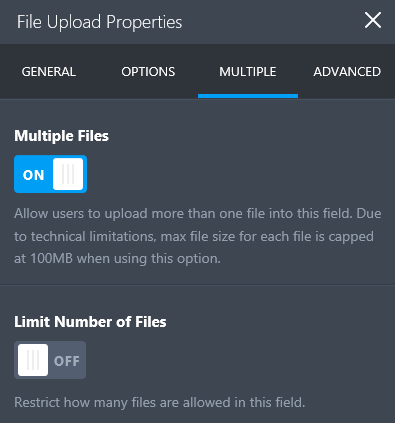 You can further limit how many files are allowed to be uploaded. Note that you are a free account user. So you are limited to 100MB upload space. Lets say each file was 1MB in size. If you uploaded 40 of them that would be 40MB. So half of your upload space would be taken from a single submission. You might need to upgrade if you need more upload space. 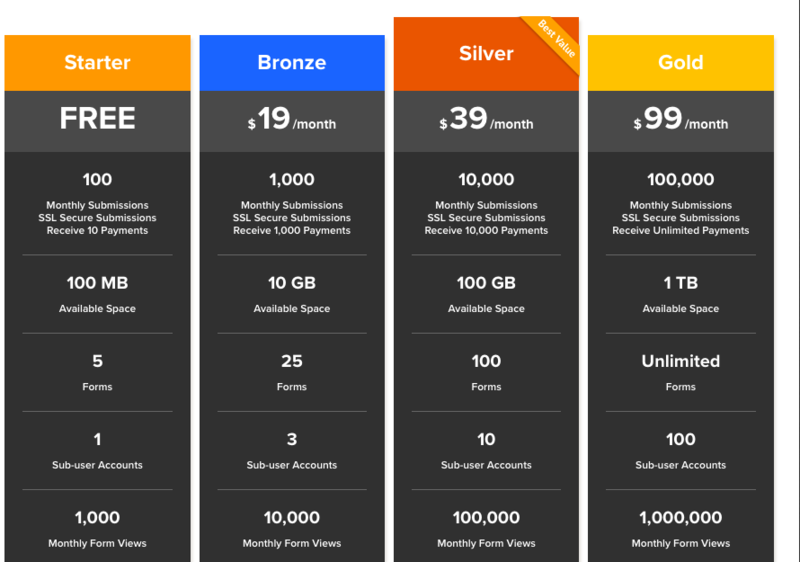 Paid plans start at $19 USD per month.